Hyundai Venue has been tagged as India's first connected SUV. 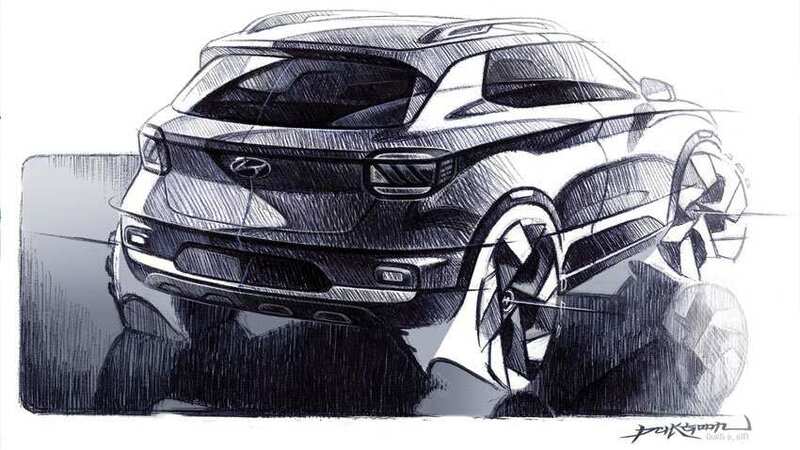 Earlier, Hyundai Motor India Ltd. (HMIL) had unveiled the first design sketch of Hyundai VENUE. Hyundai is all set to launch its new SUV - Venue. Now, the automotive market is abuzz about the biggest feature that Hyundai Venue will offer to its customers. And, it is none other than DCT feature i.e. Dual-Clutch Automatic Transmission. Hyundai Venue has been tagged as India's first connected SUV. 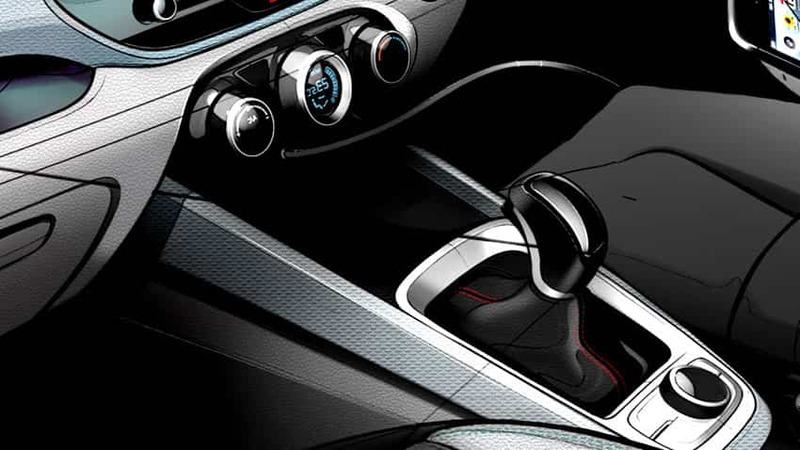 Reportedly, the dual-clutch automatic gearbox will be offered alongside the manual gearbox. The preview of Hyundai VENUE is taking place on April 17, 2019, in India. And, the global unveil will happen at the New York International Auto Show. 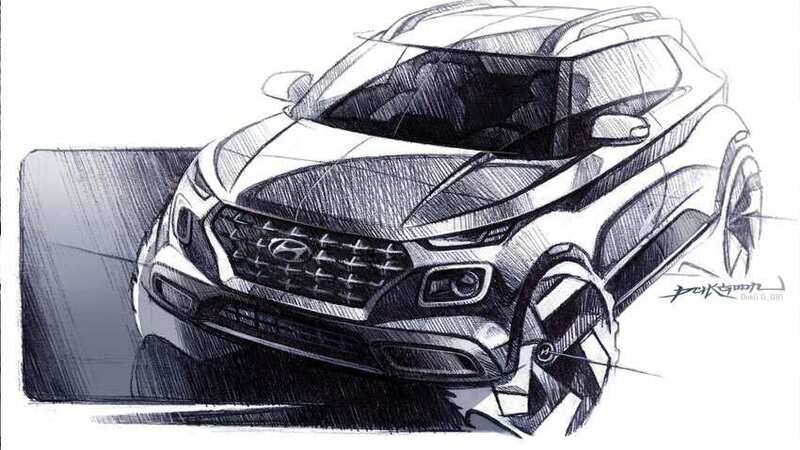 Earlier, Hyundai Motor India Ltd. (HMIL) had unveiled the first design sketch of Hyundai VENUE. Hyundai Venue will offer a connectivity solution - ‘Hyundai BlueLink’ as well. The Hyundai BlueLink is Hyundai’s global technology which will be introduced in the Indian market with 33 features out of which 10 would be India specific features for safety, convenience and various vehicle management relationship services. Hyundai Venue with BlueLink has an in-built and tamper-proof device powered by Vodafone eSIM and a Cloud-based Voice Recognition platform from Global AI (Artificial Intelligence) Company. The device will project Real Time Traffic navigation and Live Local Search in collaboration with a global map company. 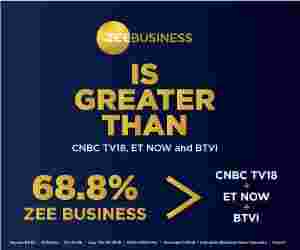 "Another interesting aspect about the device is the Interactive Voice Recognition and the ability to catch any local English accent which has been developed specifically for customers from different regions in India," according to Hyundai. Hyundai BlueLink safety features include applications such as Automatic Crash Notification (ACN) and Assistance, SOS Emergency Assistance, and Roadside Assistance. Also included are Emergency Alerts, Medical and Panic Assistance, Geo-fence which will send a text alert if the driver has ventured outside prescribed geographical location or time; and Stolen Vehicle Notification and Vehicle Immobilization among many other features demonstrating Hyundai’s commitment to safety. BlueLink also features remote vehicle functions like Remote Engine Start/Stop, Remote Climate Control, Remote Door Lock/Unlock, Remote Horn Honk & Light and Remote Vehicle Status. The Primary owner of the car can connect many other family members or friends so that they will receive emergency notifications in case of any distress thereby providing peace of mind.